Seasons come and go and for some that could mean a new set of wardrobe. But for most guys, shopping for new clothes can be stressful and expensive. 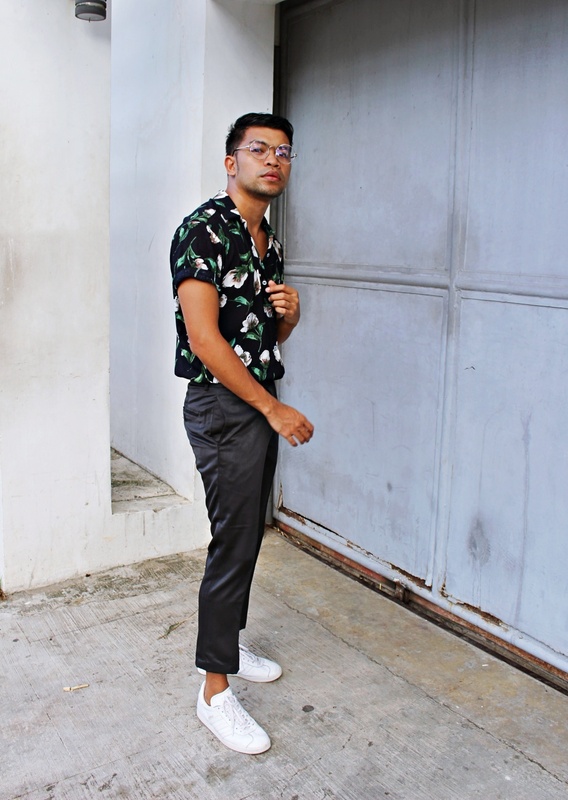 Men tend to wear clothes that are easy to put together borderline repeating OOTDs. Well don’t get me wrong. I understand that we are not celebrities who are afraid to be seen wearing the same clothes in public. However, it wouldn’t hurt to experiment on different looks by wearing the same shirt such as the printed top you bought last summer. 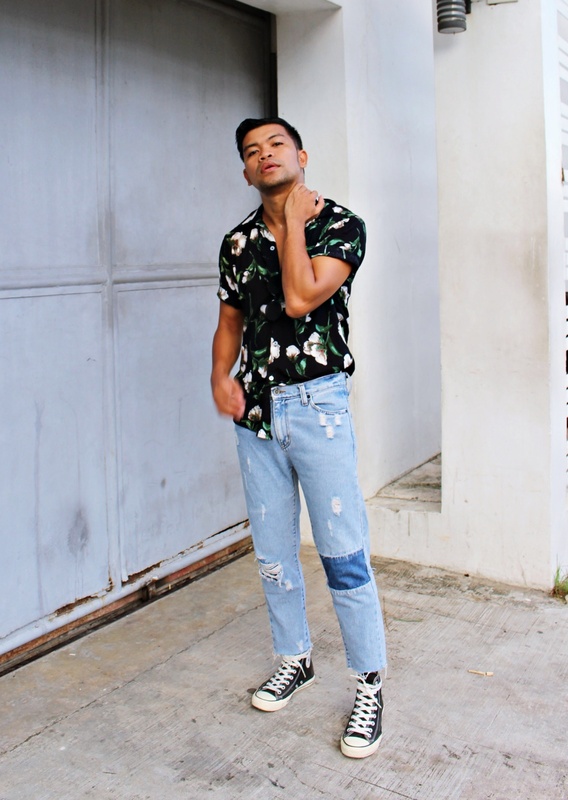 I am pretty sure that you have a Hawaiian or a floral shirt inside your closet and must be thinking of how you can make the most of it, right? 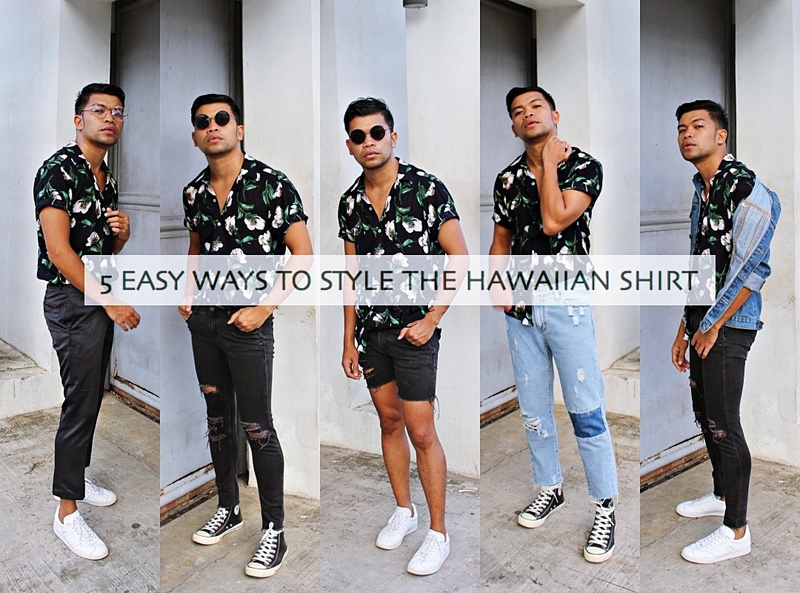 So, let me share to you 5 easy ways to style the Hawaiian shirt featuring my favorite top from CARDINAL DEAN so you can rock it whole year round. This look is perfect for running your errands. 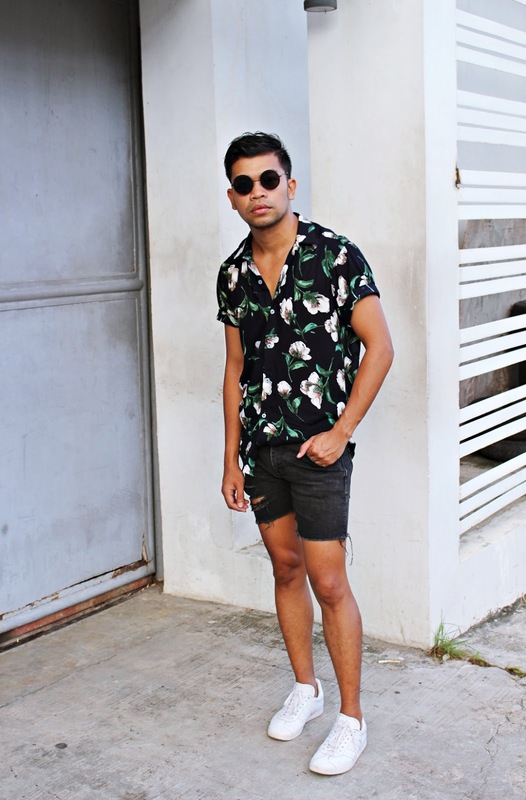 A comfortable pair of shorts with a slightly loose floral top will get you going the whole day. You’ll never go wrong with denim. Pair that printed top with cropped jeans and a classic high-cut Chuck Taylors for a relaxed look. 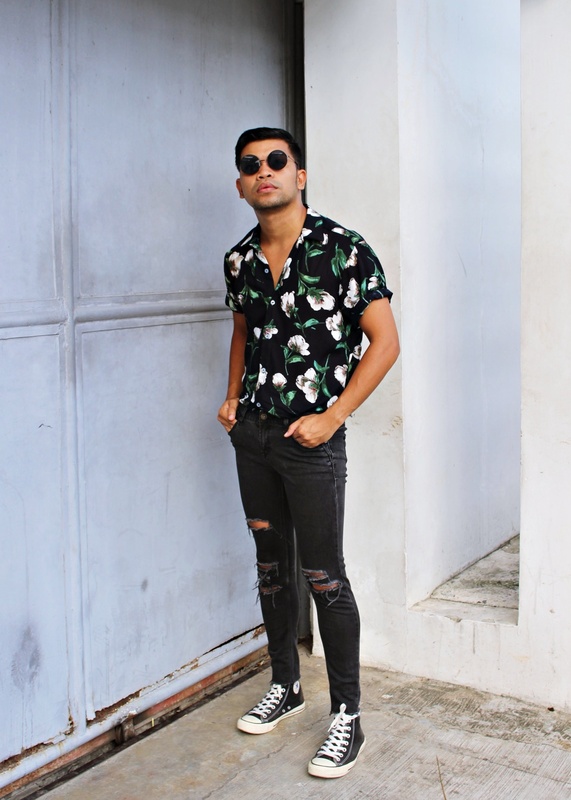 One of the easiest yet the most stylish ways of dressing up a floral top is by wearing it with a tailored pair of trousers and of course every gentleman’s must have, the white sneakers. I would wear this in the office over a tailored blazer and dress shoes. 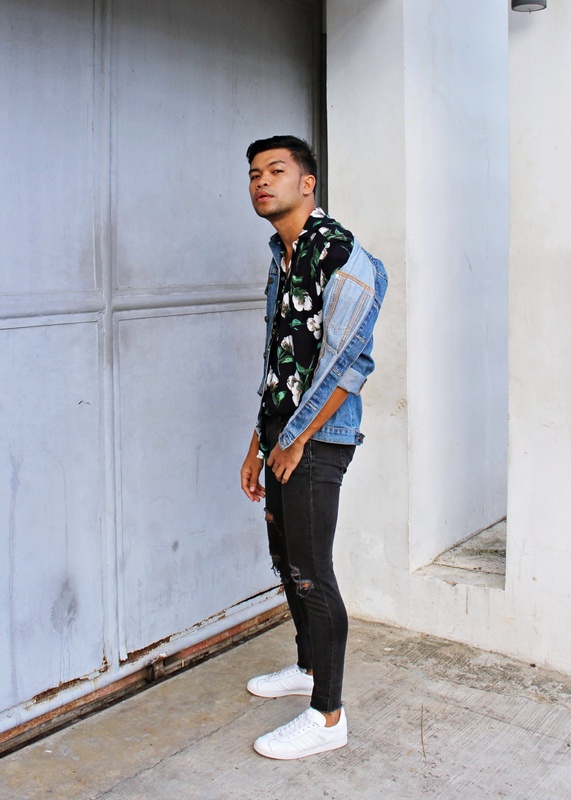 Follow me on Instagram @almostablogger for more style inspirations.